We are at the concept stage of planning to extend our home - we live in a bungalow, a very common house style here in Sydney. 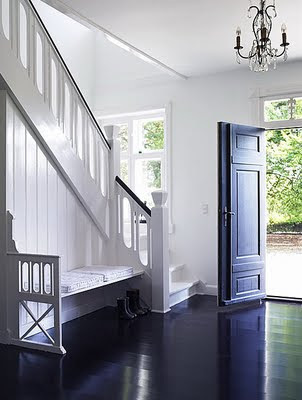 As the houses are old and the ceilings are high attention to detail is the key I think to getting stairs in that look good and fit with the older part of the house. So I am getting into photos now of panelling, balustrades, handrails and whatever you call the post at the end of the stairs . . . I love the quaint entry to your cottage!, you have really captured the warmth in the word Welcome. Thank You for sharing.